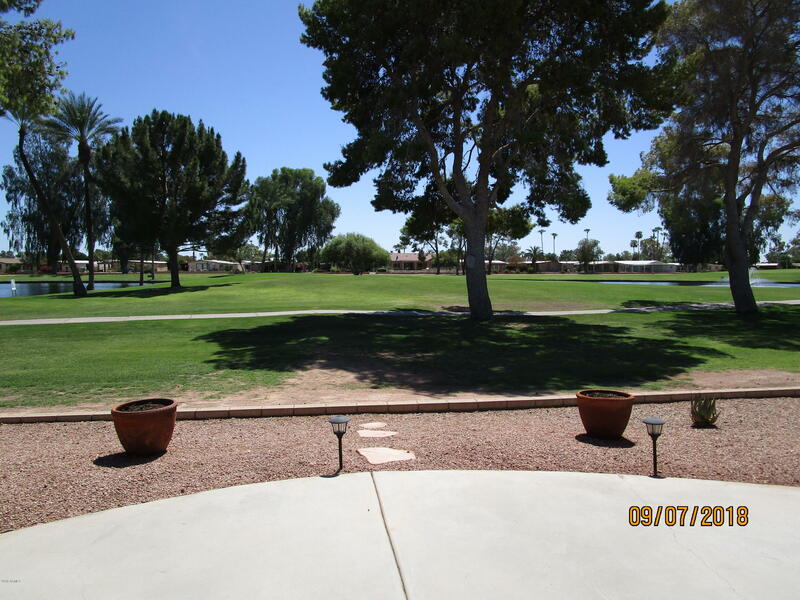 Premium Golf course and lake lot with 180 Degree Lake view!!! 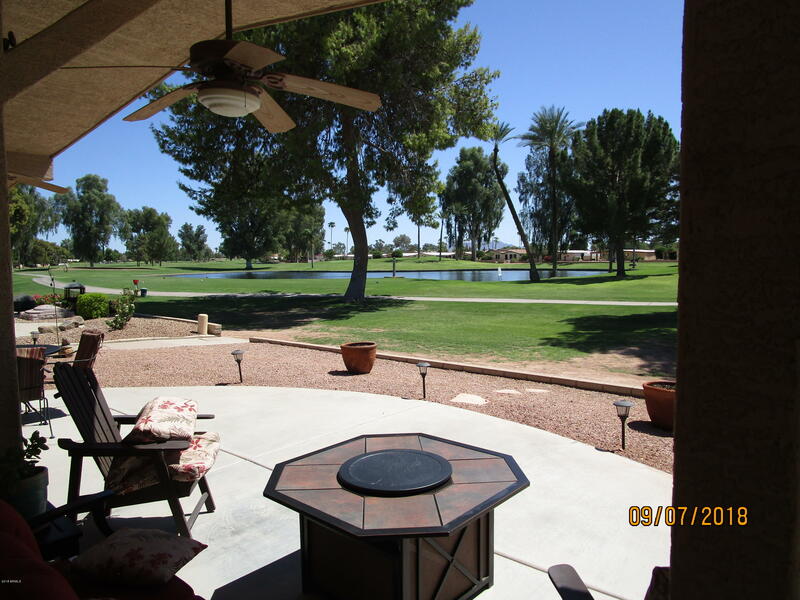 Home looks out onto the 16th Green.. 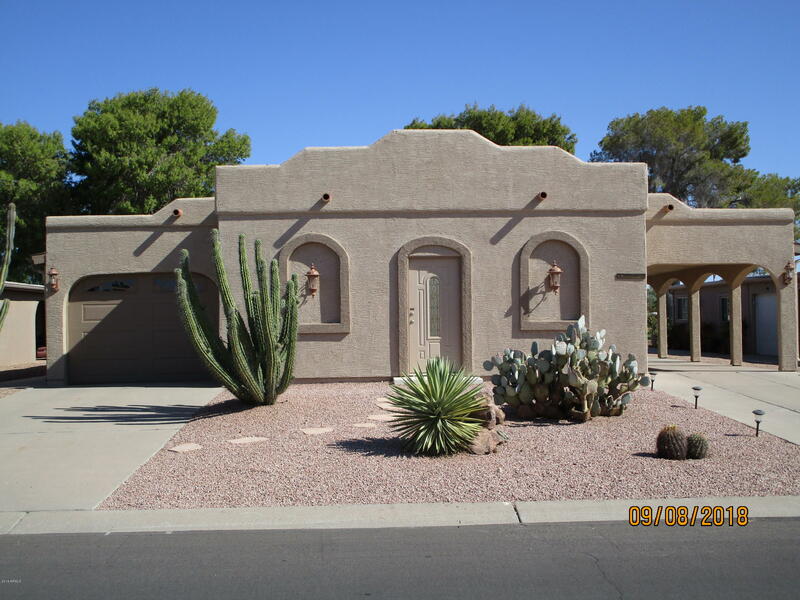 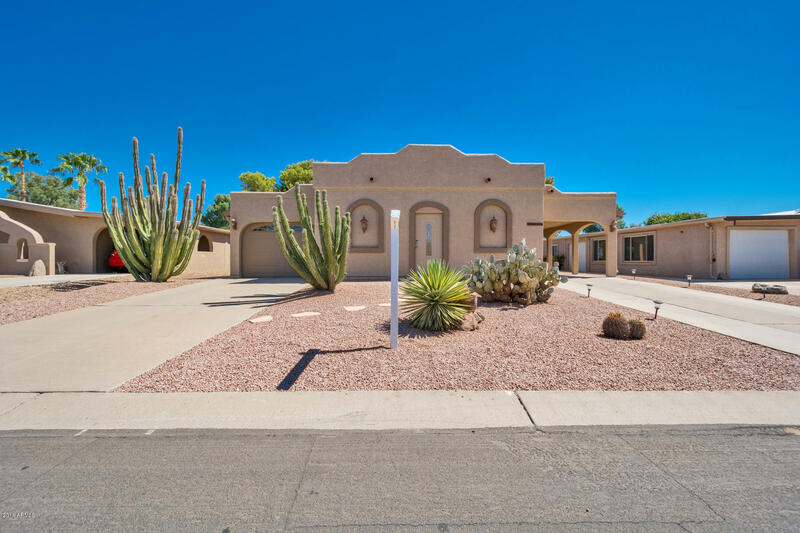 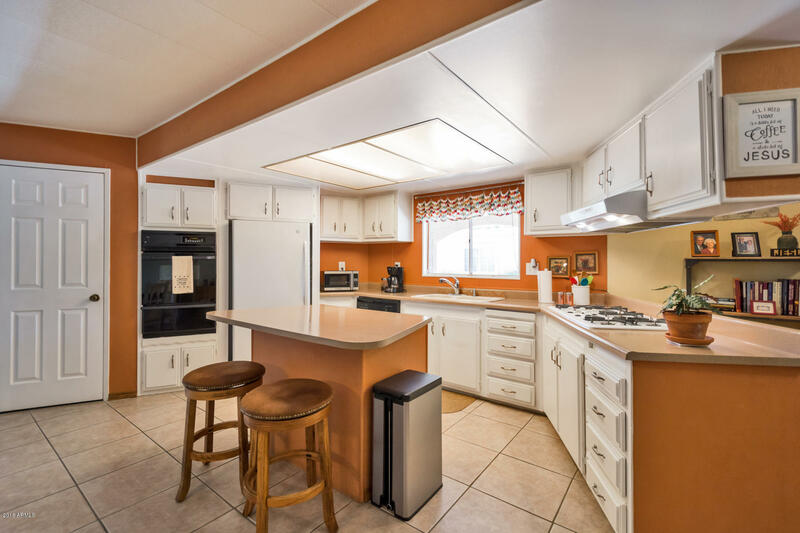 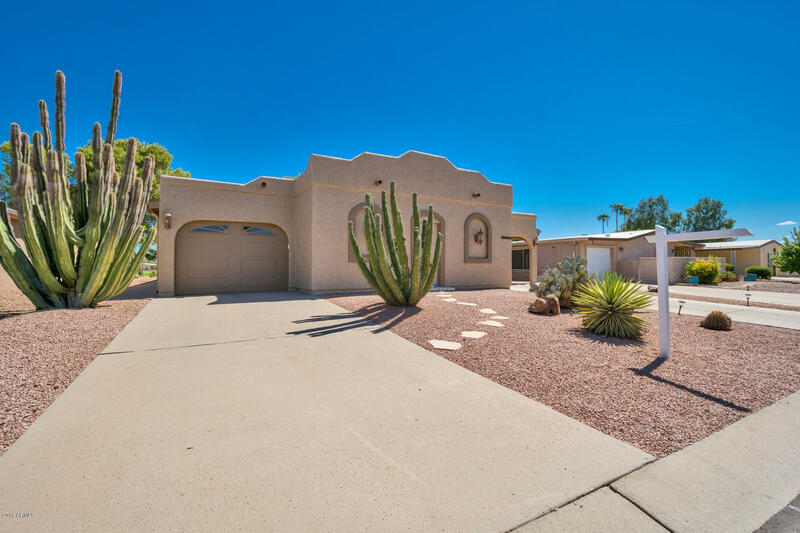 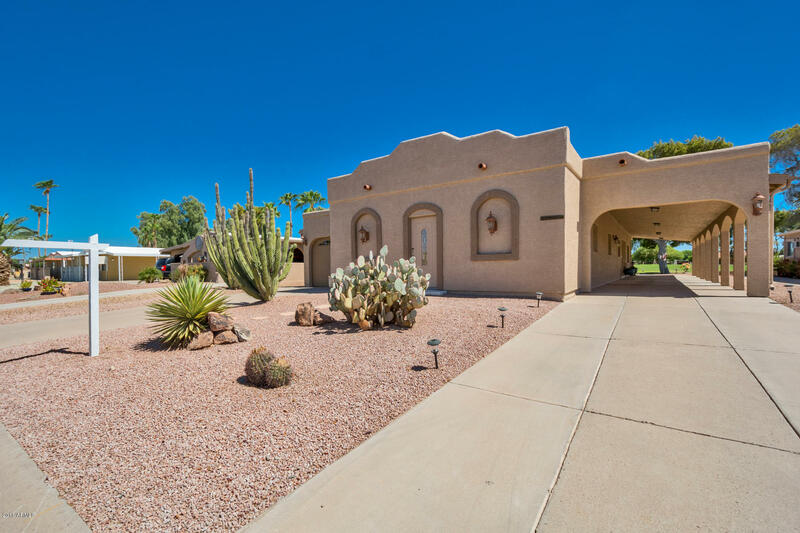 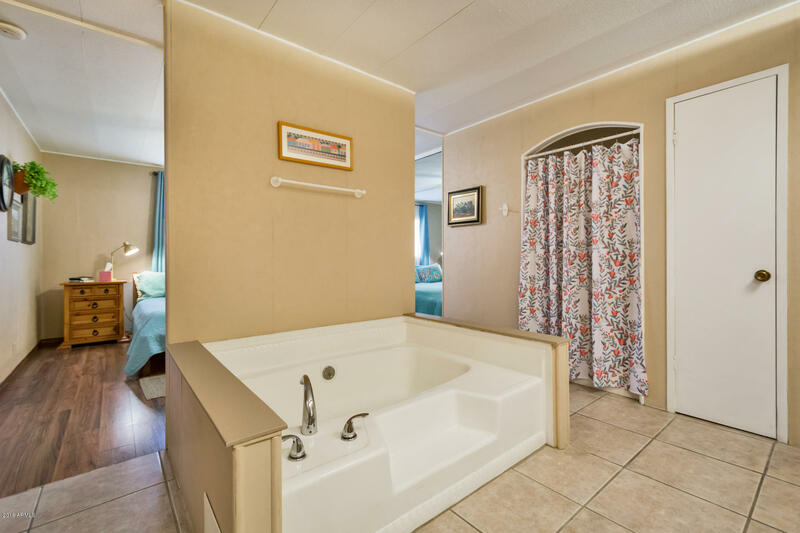 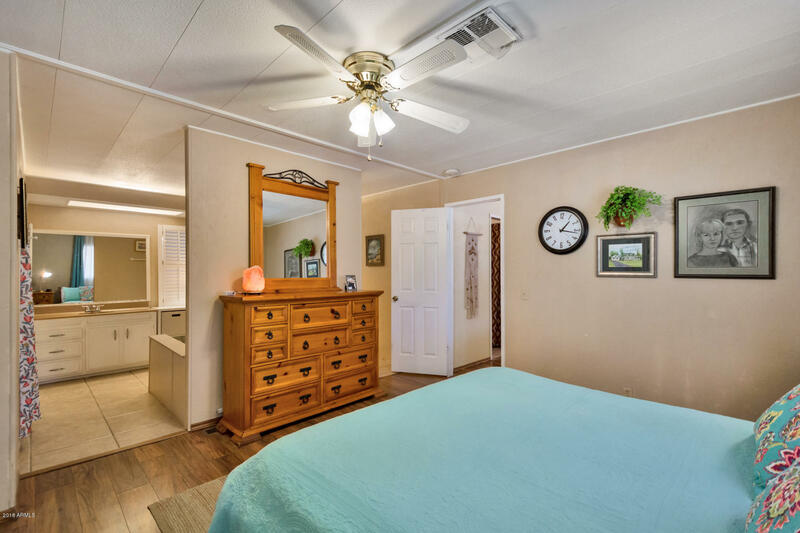 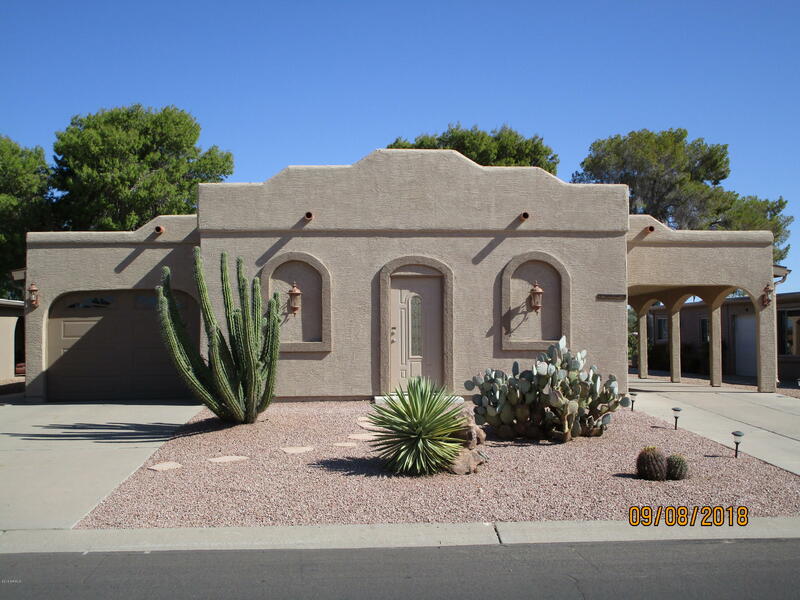 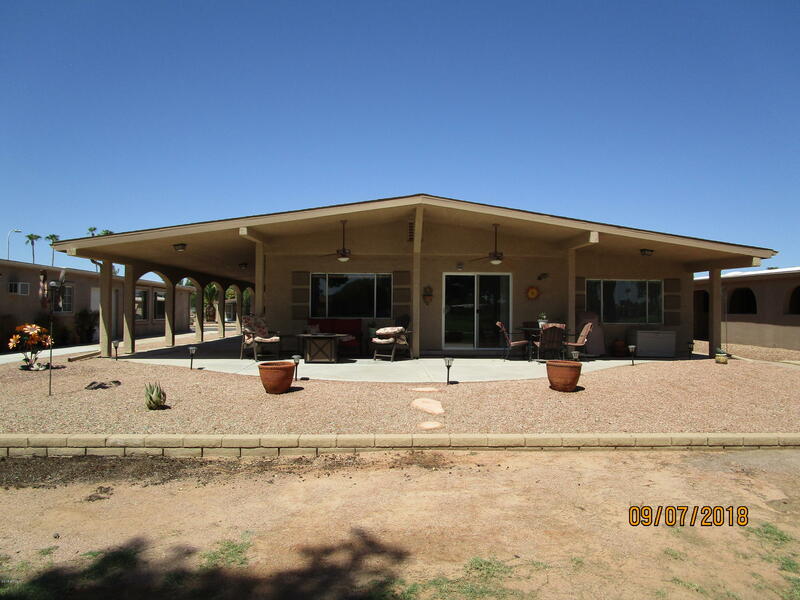 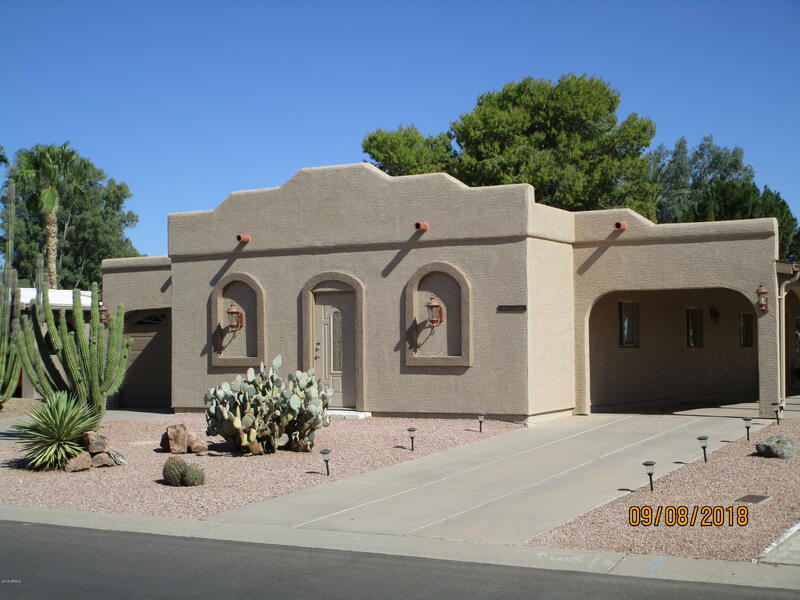 Beautifully remodeled and stucco property with fresh paint and new gutters. 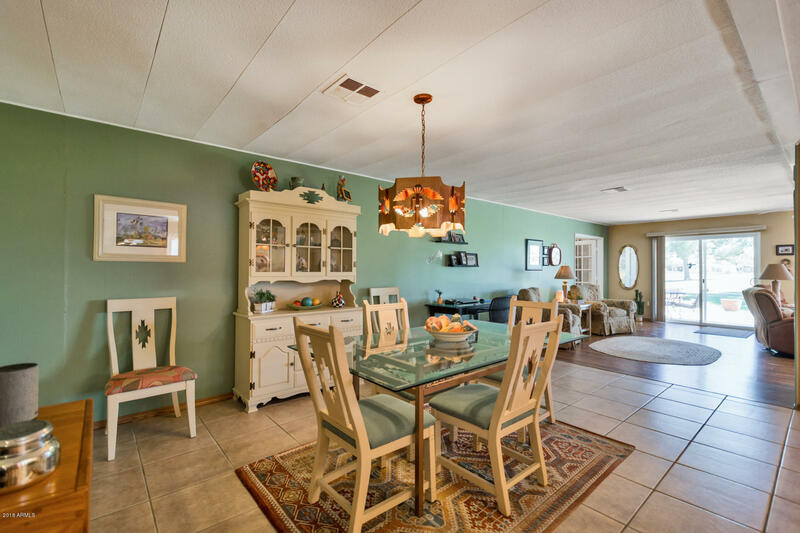 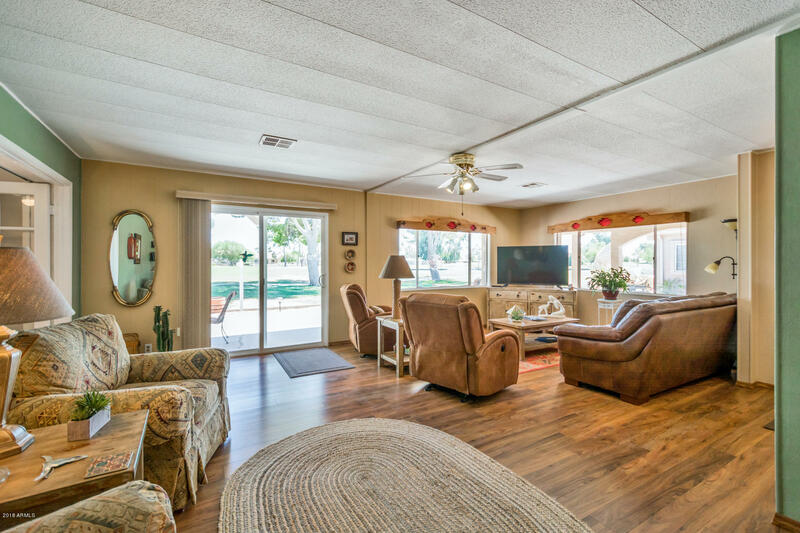 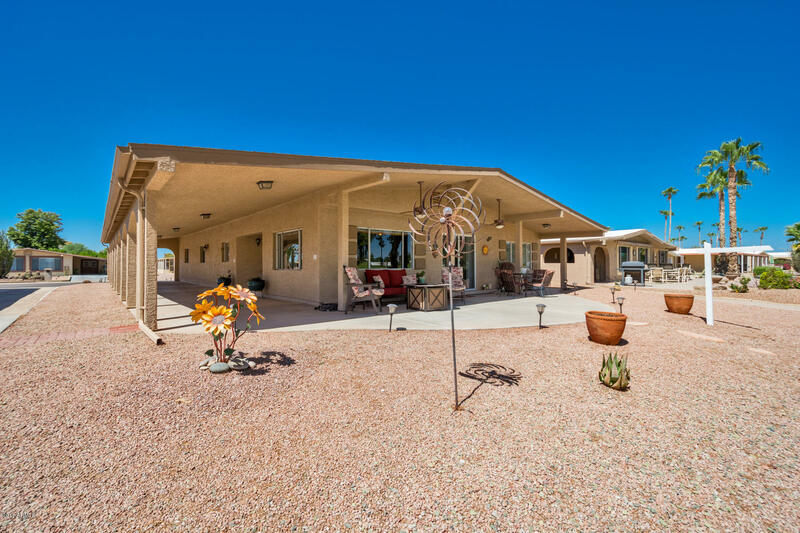 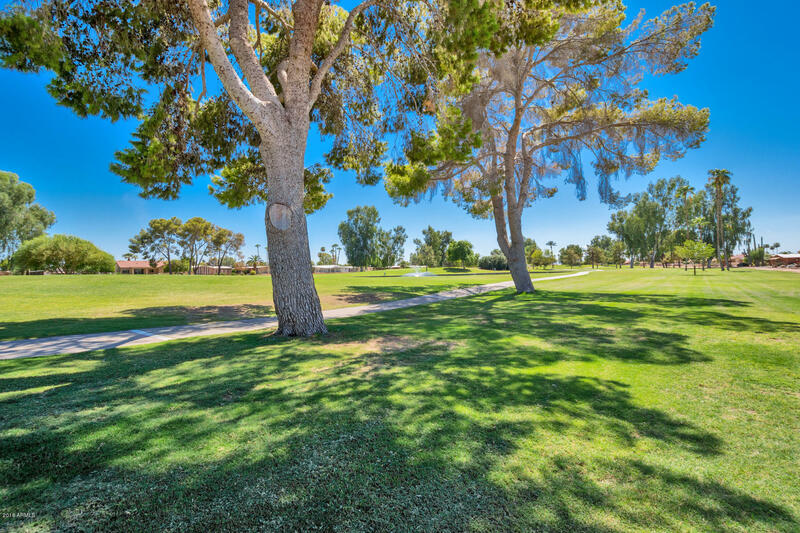 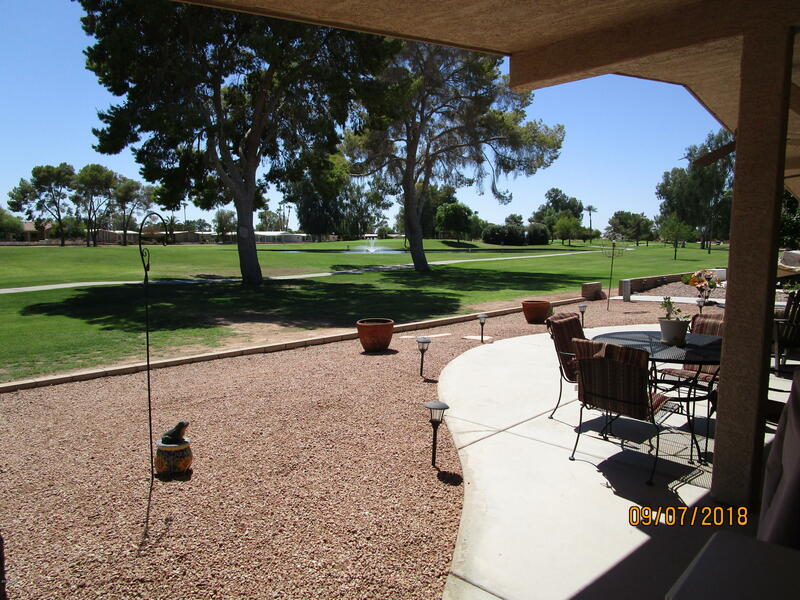 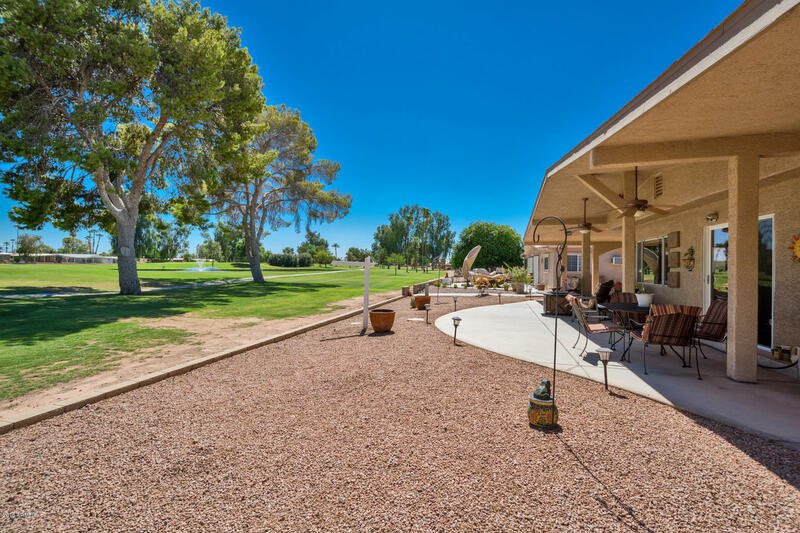 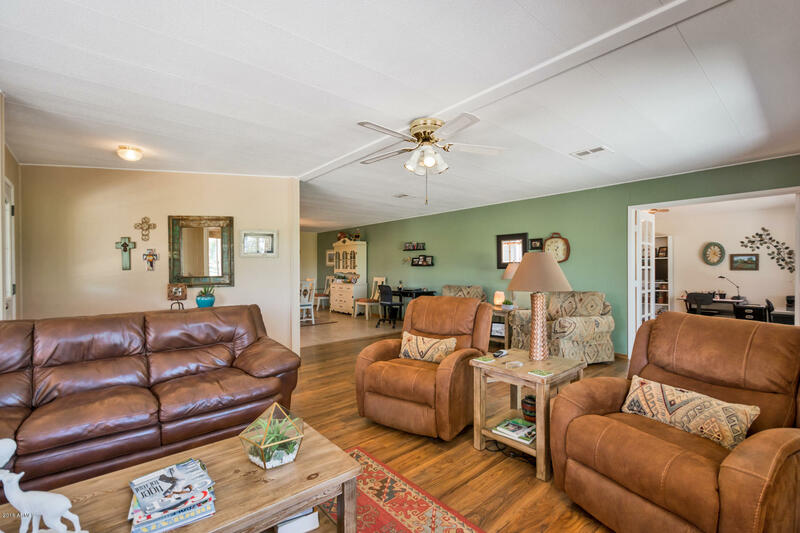 Spacious SE facing back patio to enjoy the golf action & lake views. 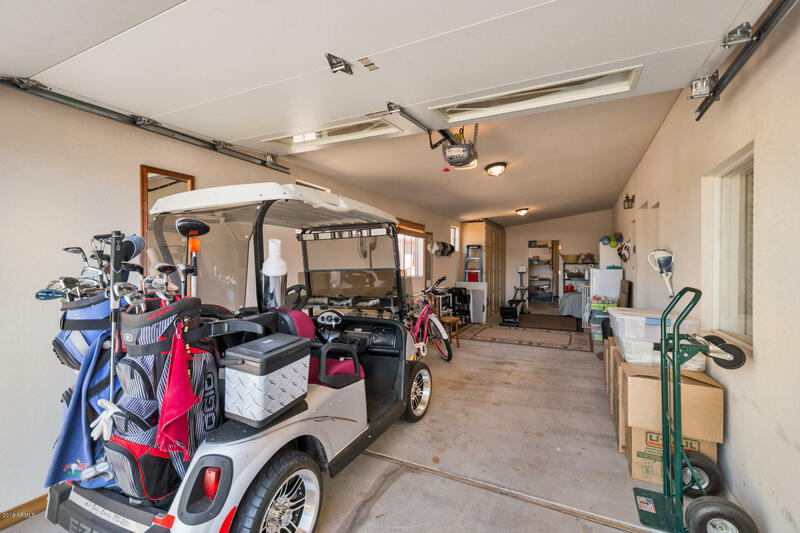 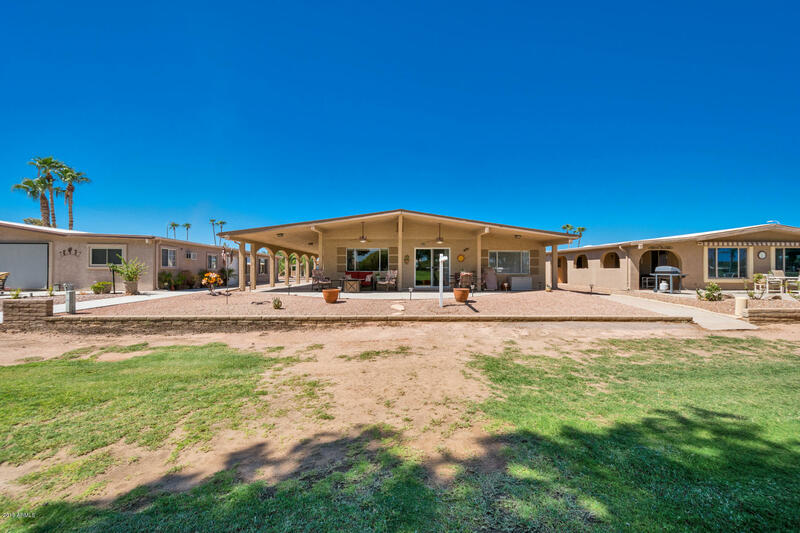 Tandem garage with room for your car and golf cart plus a three car carport. 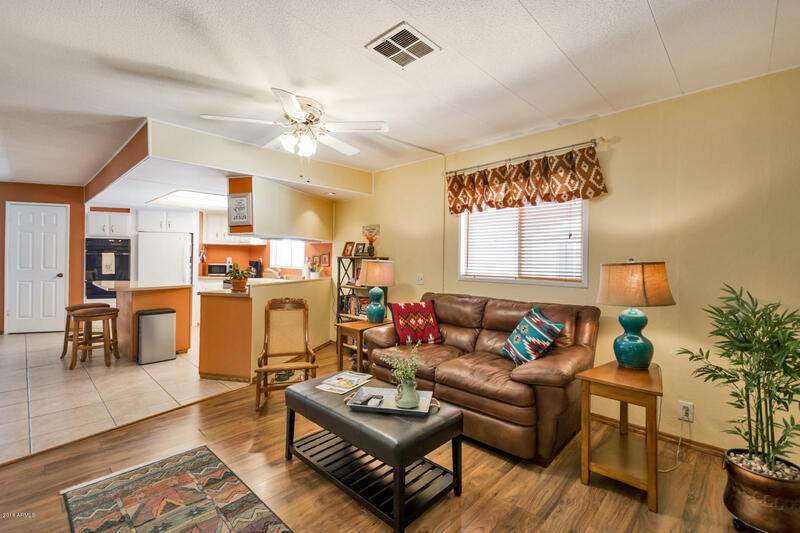 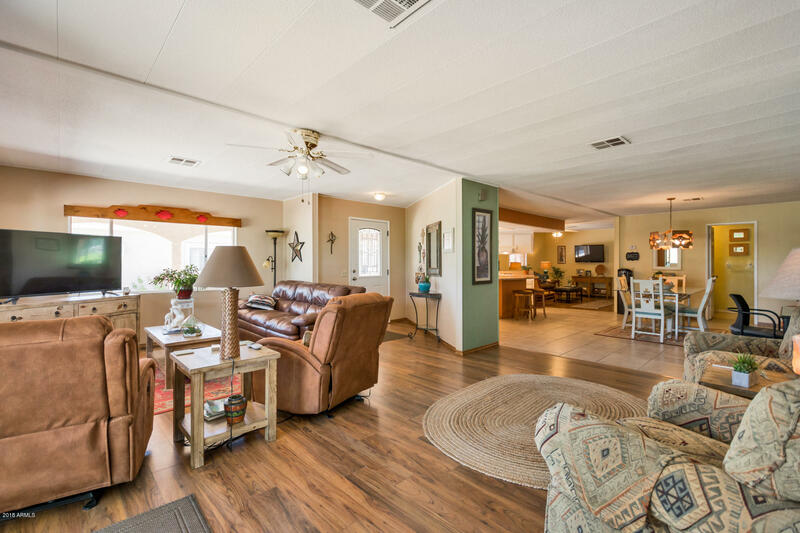 The floor plan is very open with wood laminate and tile flooring through out. 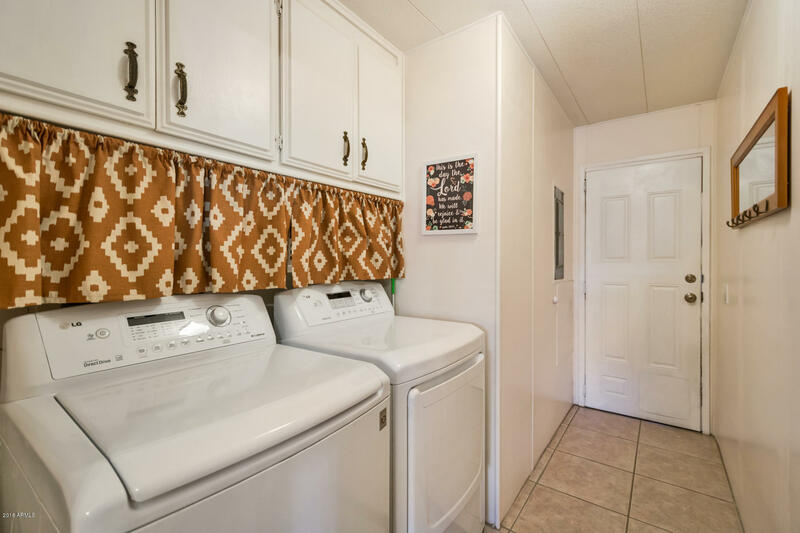 Refrigerator, washer, dryer convey. 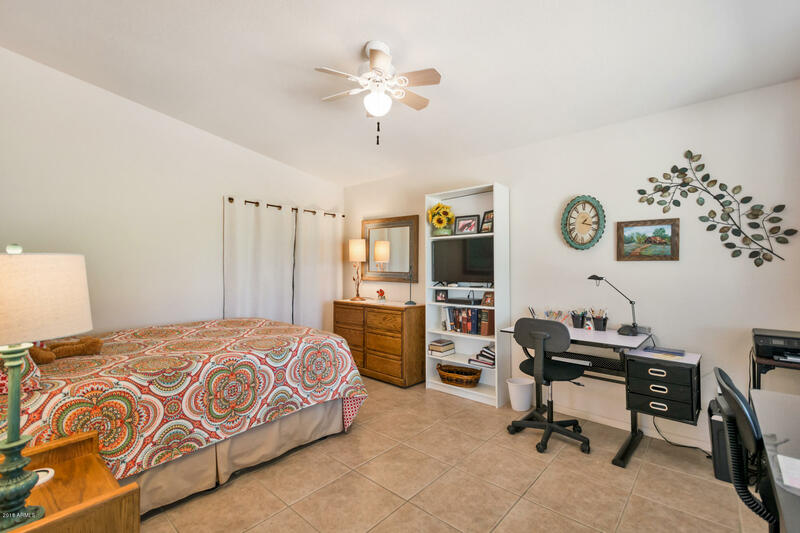 2nd bedroom/ den/office has additional 165 sq.ft. 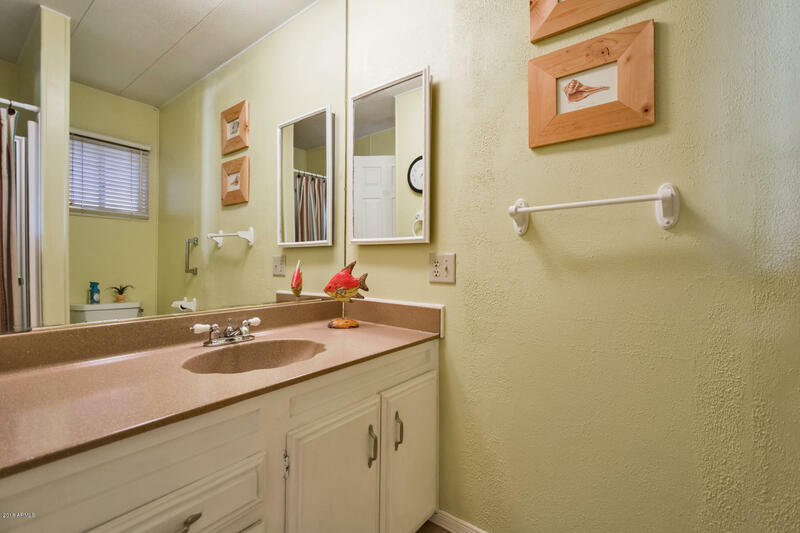 not included in 1512. 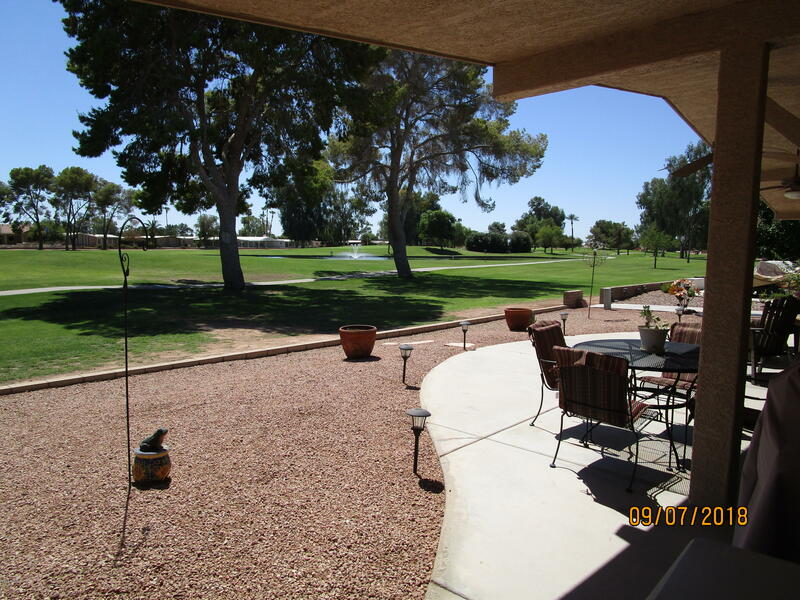 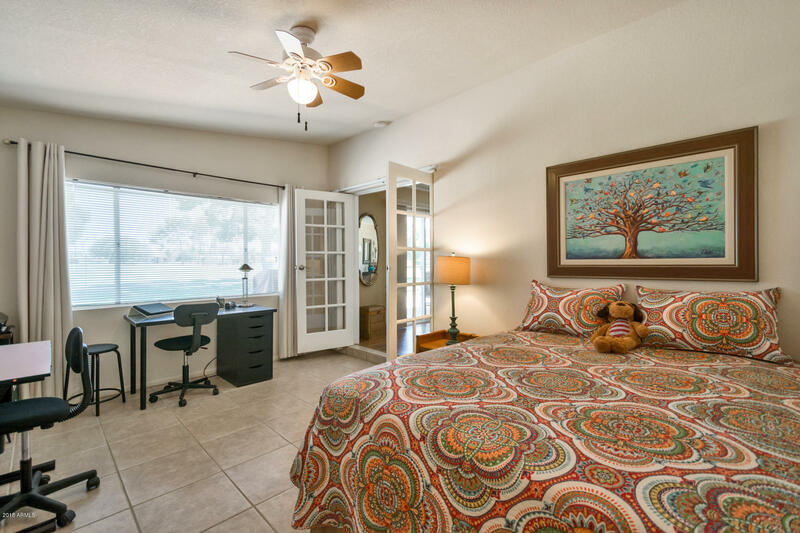 This property is super clean and very well maintained. 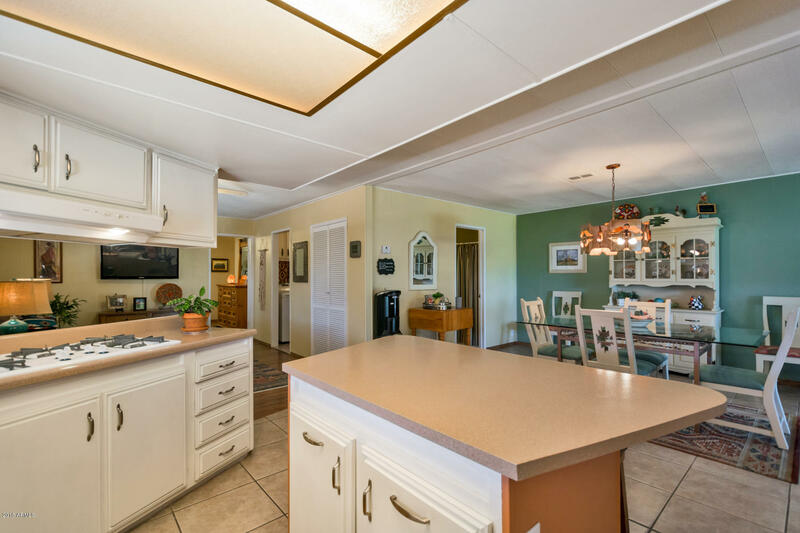 Home has newer composition roof with UV protective coating for longevity. 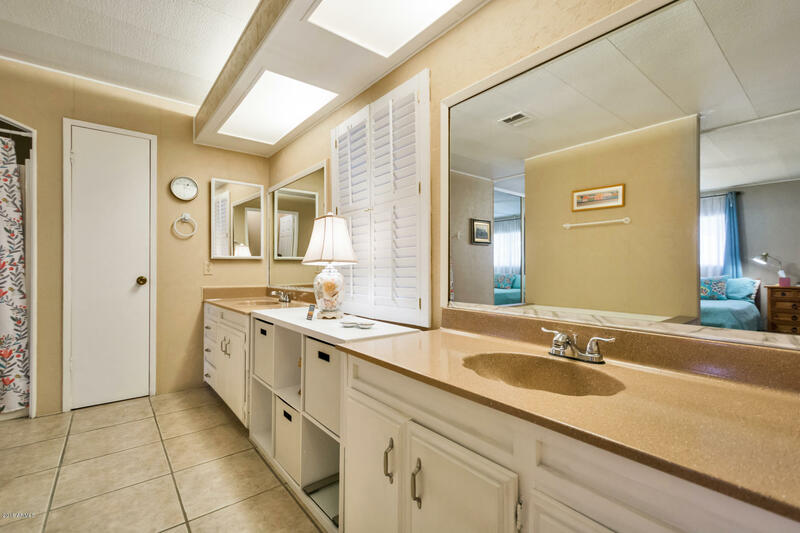 Must see to appreciate!! 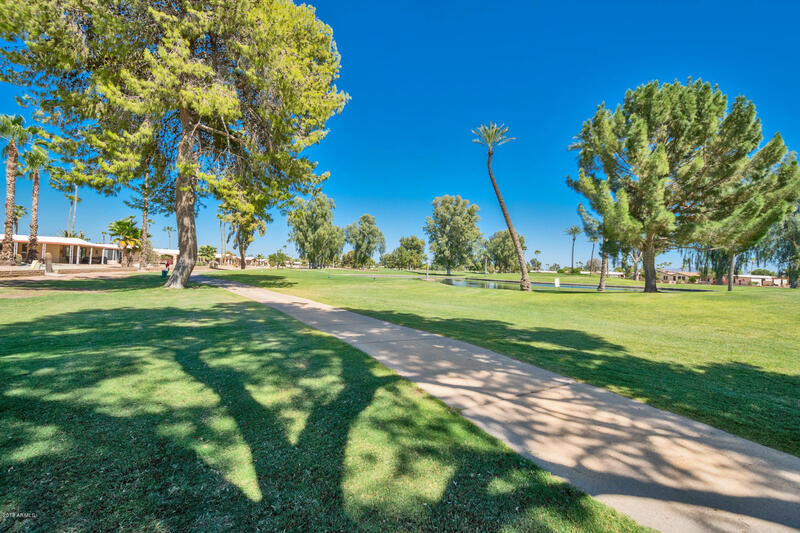 Located close to community clubhouse, dining, walking & biking paths, lakes, swimming pools, spa, tennis, golf, work out facility, etc.